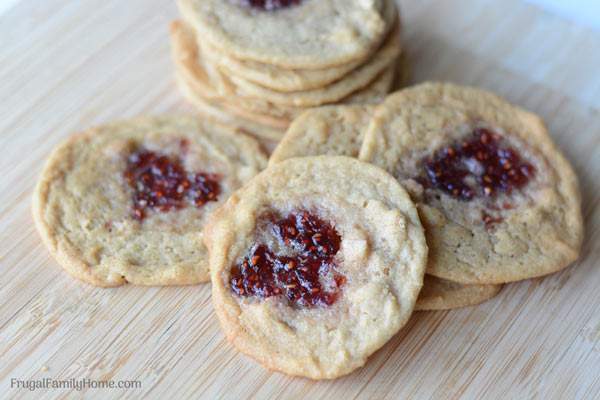 If you love peanut butter cookies then you’ll want to try these peanut butter and jelly cookies. 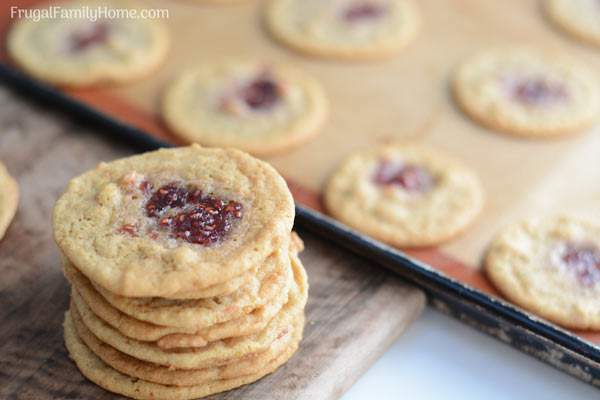 They are so soft and chewy with a yummy burst of jam in the center. A perfect combination. I remember the first time I made these to take to a church get together they were very popular. I think I didn’t even have one to bring home. But who wouldn’t like peanut butter and jelly cookies? To make these yummy cookies you’ll need your favorite jelly and the recipe below. I used some of my homemade raspberry jam but any jam will do or even jelly. You could even add raspberry to a few, grape to a few more and maybe some lovely blackberry jam on the last batch. That would make a wonderful assortment of peanut butter and jelly cookies, don’t you think? I’ve made a quick video for this recipe but if you are looking for the printable recipe keep on scrolling down. You can drop or roll the cookie dough. I’m a little lazy and just drop it by the teaspoonfuls. But if you’d like a thicker cookie, try rolling them into balls first. To make them dairy free, substitute dairy free margarine for the butter. You could even try coconut oil in place of the butter or margarine. When making the impression for the jam don’t press down too much. Just make a small shallow impression. If you flatten the dough too much, it will let the jam go all the way through the cookie. Don’t flatten the peanut butter cookie dough like you would usually for regular peanut butter cookies. The dough will spread out on its own, no need to flatten it. 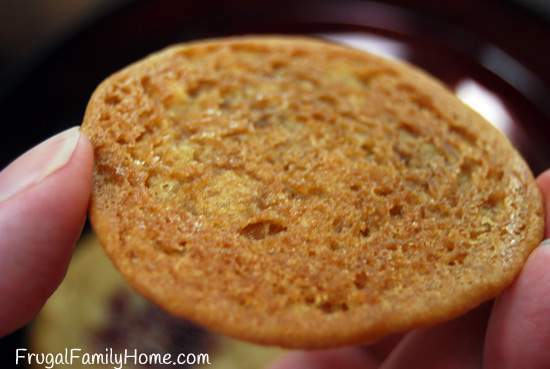 To keep the cookie soft in texture, only bake them until the edges are set and they are slightly browned on the bottom. This will make for a softer texture cookie. If you’d like a crisp cookie texture be sure to bake them until golden brown. Only put a small amount of jelly on the top because as they bake the jelly really spreads out and you want to make sure it stays on top of the cookie. I always have one or two that the jelly runs over the edge. It makes them a little sticky but they still taste great. Don't just make plain peanut butter cookies, make them with jam too. They are so good. To a medium sized bowl add the flour, baking powder, baking soda, and salt. Using a whisk mix well. Set aside. In a large bowl, add the butter, peanut butter, sugar, brown sugar, vanilla, and egg. With a mixer mix until well combined. 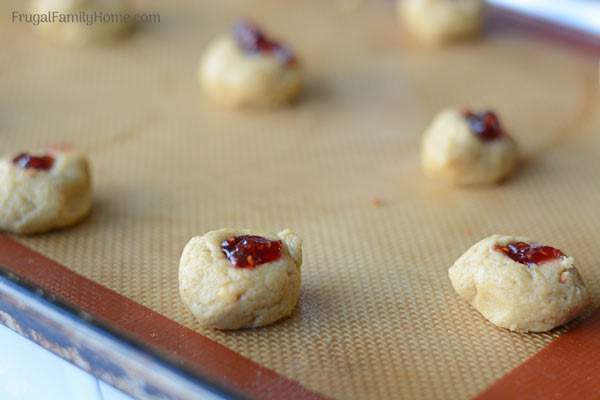 Roll dough into balls or drop by the teaspoonful onto an ungreased cookie sheet. Make a slight depression in each of the cookie balls. Add about 1/4 a teaspoon of jam into each depression in the cookie dough. Bake at 375 degrees for about 7-9 minutes, or until cookies are set and the bottoms are lightly browned. Cool on baking sheet for several minutes then remove to a wire rack to finish cooling. Maybe you’ve always wonder like I have if it’s really less expensive to make cookies at home? I know homemade cookies are always better than the store bought but if you are wondering the cost difference I’ve got it for you here. The only cookies I could find to compare are packaged peanut butter cookies. They were the closest to these type of cookies I could find to compare. In each package of store-bought soft-baked peanut butter cookies, you get a dozen cookies for $2.50 which works out to be about $.21 a cookie. This batch of peanut butter and jelly cookies makes 48 cookies for just $1.02. Which works out to be just $.02 a cookie. That’s quite the savings. 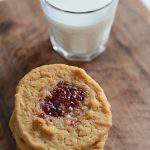 These peanut butter and jelly cookies would make a great addition to a holiday cookie platter or for a delicious treat packed into your kid’s lunch. The only drawback to these yummy peanut butter and jelly cookies is everyone loves them so much they don’t stick around very long. 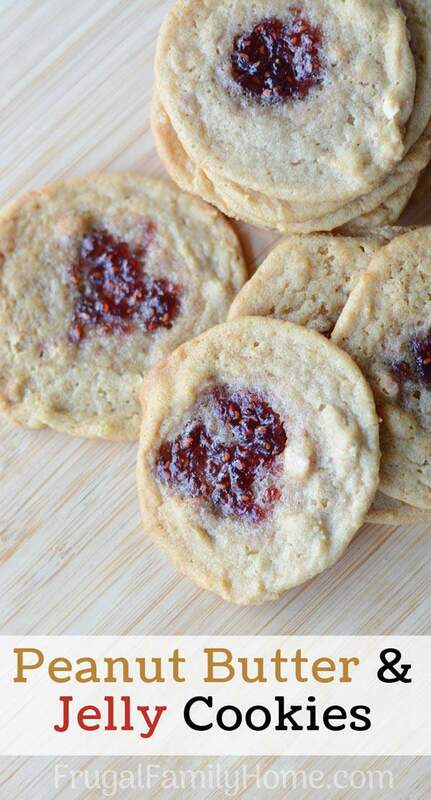 What jam would you add to your peanut butter and jelly cookies? Read more posts in this 31 days of Homemade Sweet Treats series. 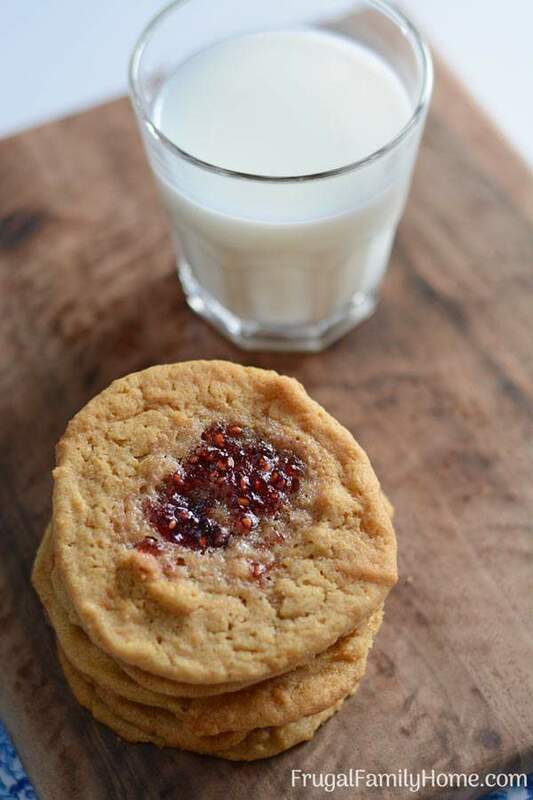 I never would have thought to put jelly in a peanut butter cookie…what a brilliant idea!